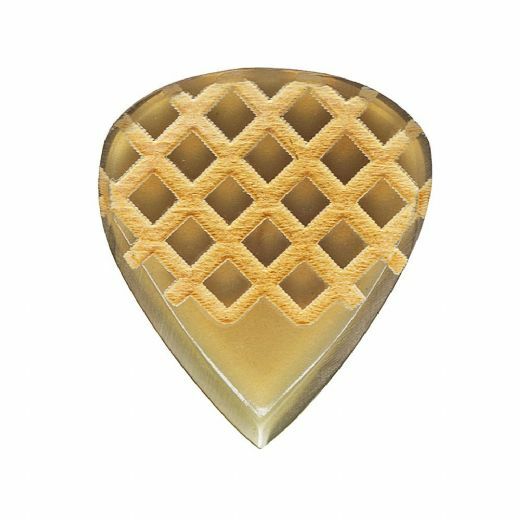 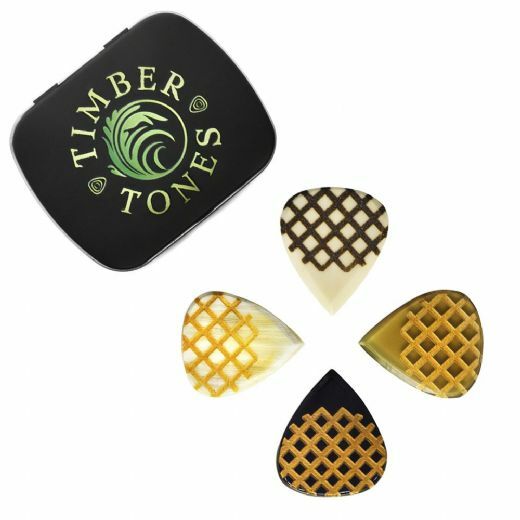 Grip Tones Mini Guitar Picks are manufactured from Vietnamese Water Buffalo Horn and Bone, which are both waste bi-products from industries such as Leather, Steak and Cheese. 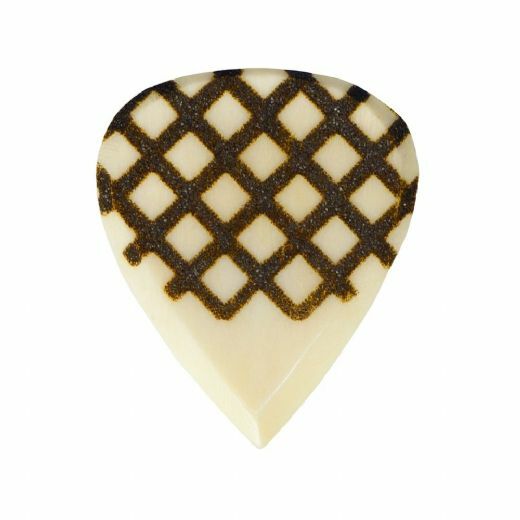 They are hand made to our Jazz III shape. 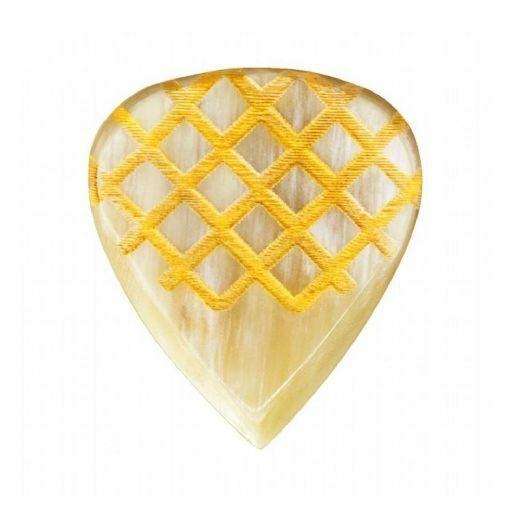 They are 2.2mm thick where you hold them, chamfering down to a razor sharp playing tip. 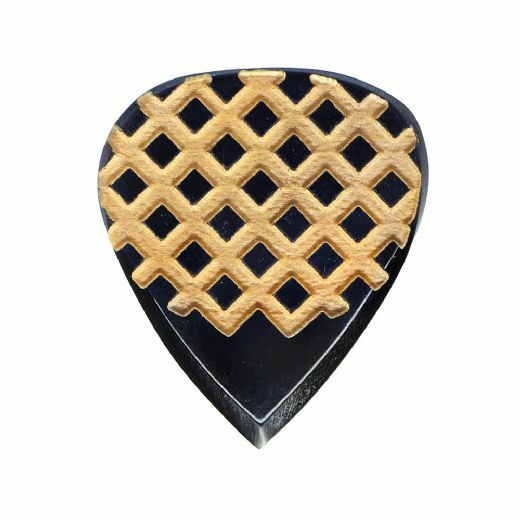 They are then Laser Engraved on one side for a huge amount of extra Grip.